Redmi Note 5 Pro is one of the best budget phones you can buy today. We have already reviewed the device and whole heartedly recommend it to any prospective buyers. 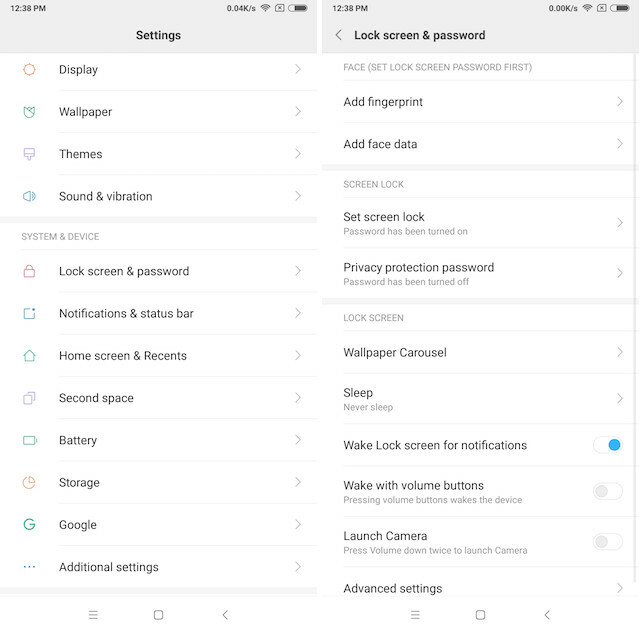 The phone brings an exceptional build quality along with some pretty cool software-enabled features like native app locker, screen recorder, themes, second space, dual apps, and many more. And now Xiaomi has also plugged the one gap in the phone’s repertoire. 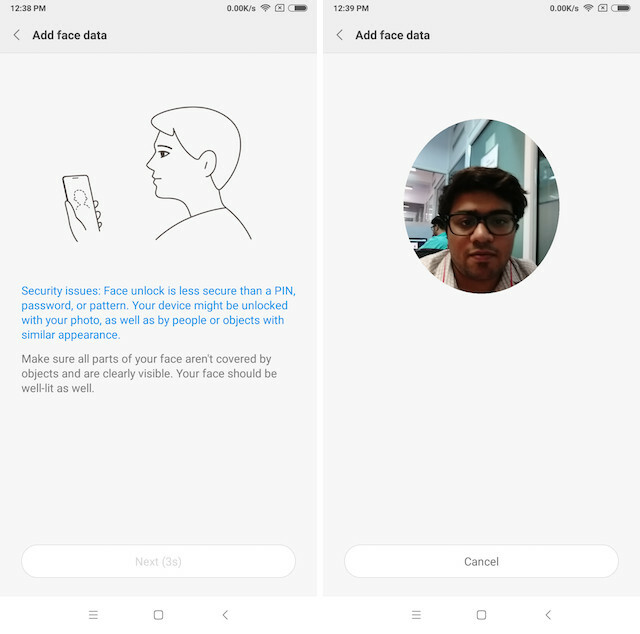 Face unlock has become a big deal since the launch of iPhone X with Face ID. 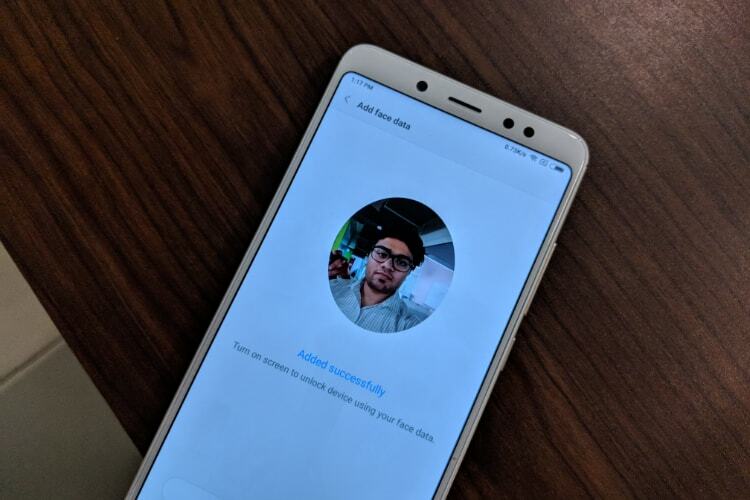 So Xiaomi has matched OnePlus and Honor in giving the Note 5 Pro this feature. 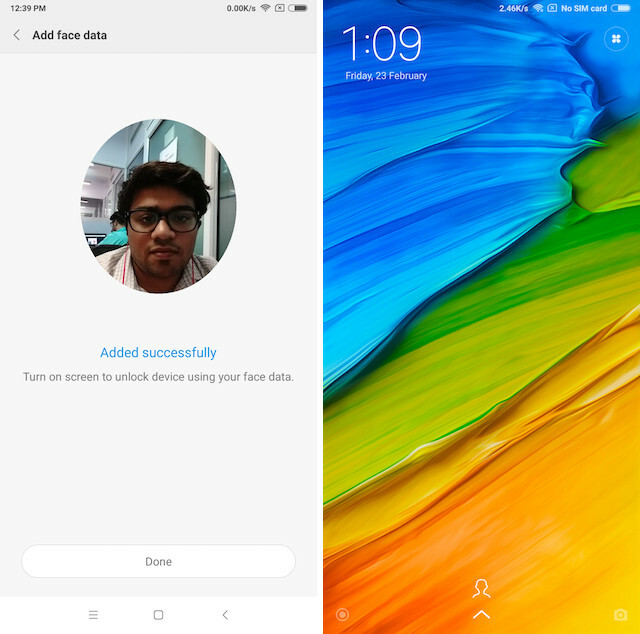 The new OTA update for the Redmi Note 5 Pro which brings Face Unlock to the device. The new version which is the MIUI V9.2.4.0.NEIMIEK also contains new improvements for system stability. So, if you were one of the lucky few who managed to order the Redmi Note 5 Pro in the first flash sale, the first thing you would want to do is connect to a Wi-Fi network and get this update. After installing the update, go to Settings and then tap on “Lock screen & password”. Here, click on “Add face data”. 2. On the next page, you will see some text informing you that Face Unlock is not as secure as PIN, password, or pattern. Hit next to add your face data. That’s it, now you can use your face to unlock the Note 5 Pro. In my testing, the Face Unlock feature worked perfectly fine. It never failed to unlock the device and was not fooled by other faces. That said, the Face Unlock is slower than the fingerprint scanner. Although Xiaomi claims it unlocks in 0.2 seconds, in my testing it took a little over a second to do so. However, since it is a software-enabled feature, we expect it to improve with future updates.